The Priory healthcare group has been fined £300,000 over the death of a child at one of its hospitals. 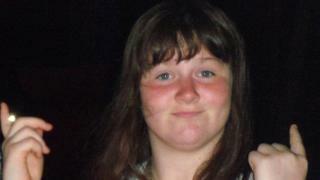 Amy El-Keria, 14, was found hanged in her room at the Priory in Ticehurst, East Sussex, in November 2012. The private company, which runs mental health services as part of an NHS contract, was sentenced at Lewes Crown Court. In 2016, an inquest found her death may have been prevented if she had received proper care. The Health and Safety Executive pursued a criminal investigation and the company admitted a charge of being an employer failing to discharge its duty to ensure people were not exposed to health and safety risks. In sentencing, Judge Mr Justice James Dingemans said no financial penalty he could impose would ever “reflect the loss suffered by Amy’s family”. Speaking outside court, Amy’s mother Tania El-Keria said: “The public’s eye has been firmly opened to what the Priory stand for, profit over safety. “Today is a historic day in our fight for justice for Amy. She said the Priory’s contract with the NHS should not carry on. “I don’t believe there’s any lessons learned,” she added. A court hearing in January was told Amy, who was deemed high-risk and had a “known and recent history” of suicide attempts, was admitted to the hospital on 23 August 2012. She was left with unsupervised access and the means to carry out another suicide attempt. On November 12, she was found with a ligature around her neck and taken to Conquest Hospital in Hastings, where she died the next day. The inquest into her death heard staff at the unit had not been trained in resuscitation and did not called 999 quickly enough. The jury said Amy died of unintended consequences of a deliberate act, contributed to by neglect, and that staffing levels at the Ticehurst centre were inadequate. When imposing the fine, he said he took into account the company’s “good” health and safety record, guilty plea and steps made to improve the service. Priory Healthcare had a turnover of £133m in 2017, with an operating profit of £2m, he said. It must also pay the Health and Safety Executive’s costs of £65,800 and a victim surcharge of £120. In a statement, the charity Inquest, which supported the family, said it was “a historic moment in terms of accountability following deaths of children in private mental health settings”. Victoria McNally, a senior caseworker at the charity, said: “Allowing the Priory to investigate their own actions, meant it took six-and-a-half years for their criminally unsafe practises to be exposed. Trevor Torrington, head of the Priory Group, said: “The latest CQC report, published in January this year, rated Ticehurst as “good” in all areas. Ms El-Keria is due to meet with mental health minister Jackie Doyle-Price in May.